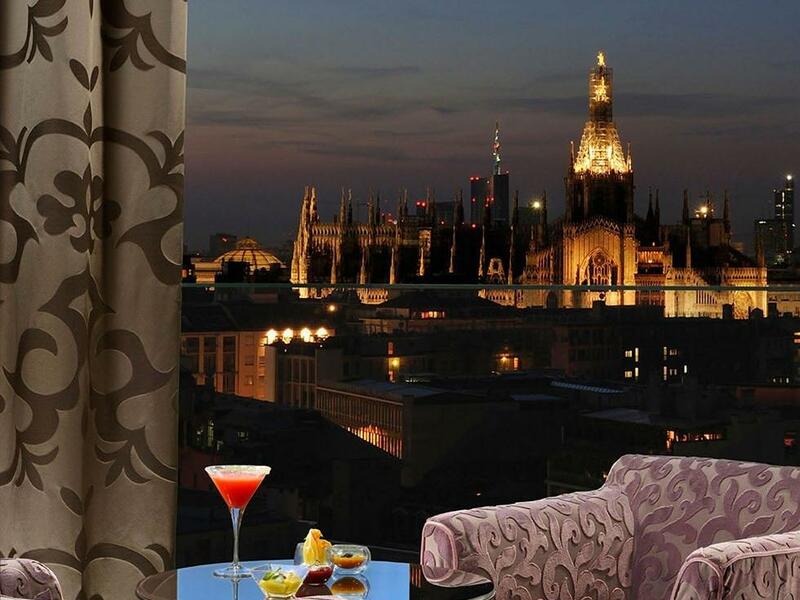 Uptown Palace is one of the 4-star hotels in the heart of Milan. 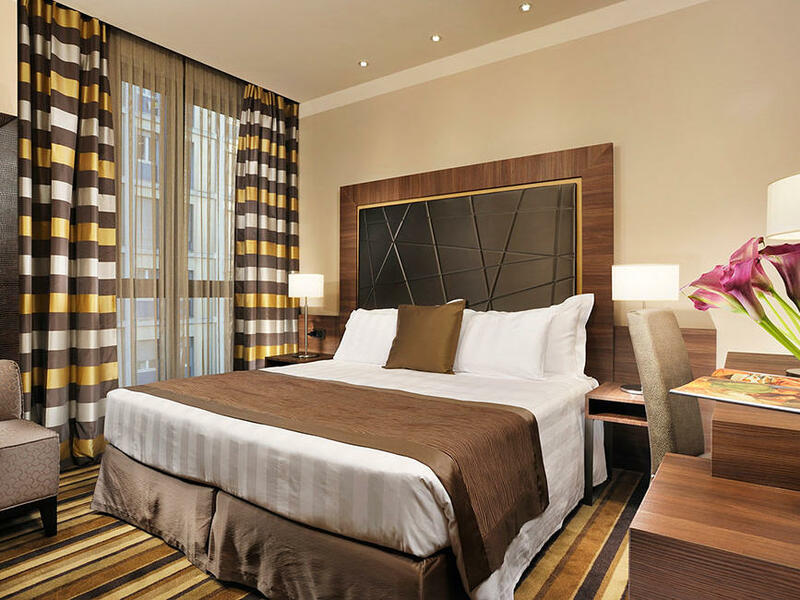 Modern and elegant, Uptown Palace is situated a short walk from "Crocetta" metro stop (yellow line), from Piazza Duomo and from Milan's famous shopping streets. 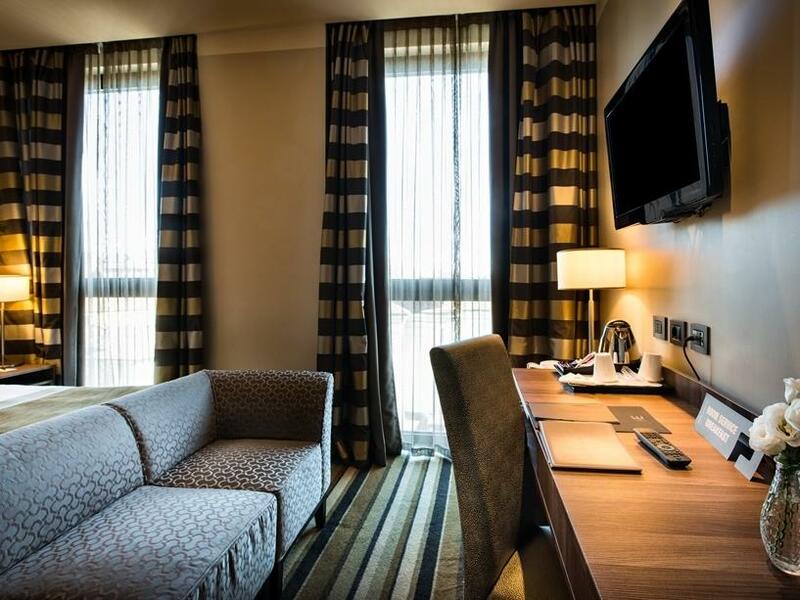 Each room has LCD televisions and en suite bathrooms with shower or bathtub, together with fluffy robes, slippers, hairdryers and a stylish selection of toiletries. The Presidential Suite and four of the Executive Suites have an atmospheric view of the Duomo and of the rooftops of busy Milan. 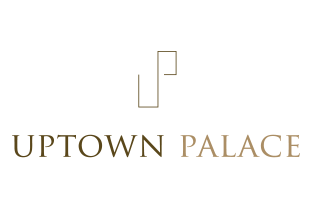 Uptown Palace offers its guests a destination par excellence where every dream can come true. 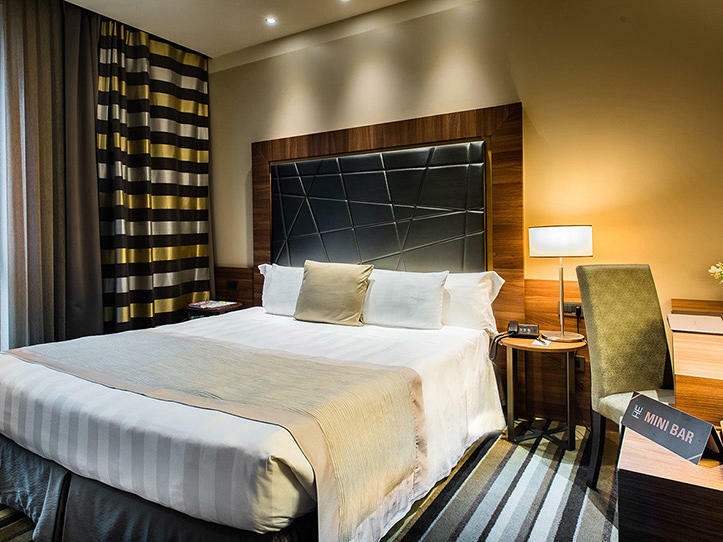 Uptown Palace has 165 fully soundproofed rooms with the latest mattresses. Floors in the rooms are parquet or carpet while those in the public areas are marble. Inviting room. Comfortable desk with a large bathroom with shower especially equipped for the comfort of guests with physical disabilities. Manual temperature control, satellite TV. Tea and coffee making facilities. FREE WI-FI. Welcoming room, decorated in warm tones; choice of carpet or parquet, bathroom with shower or bathtub and totally soundproofed. Tea and coffee making facilities. Manual temperature control, satellite TV. FREE WI-FI. Welcoming room, decorated in warm tones; choice of carpet or parquet, bathroom with shower or bathtub and totally soundproofed. Manual temperature control and satellite TV. 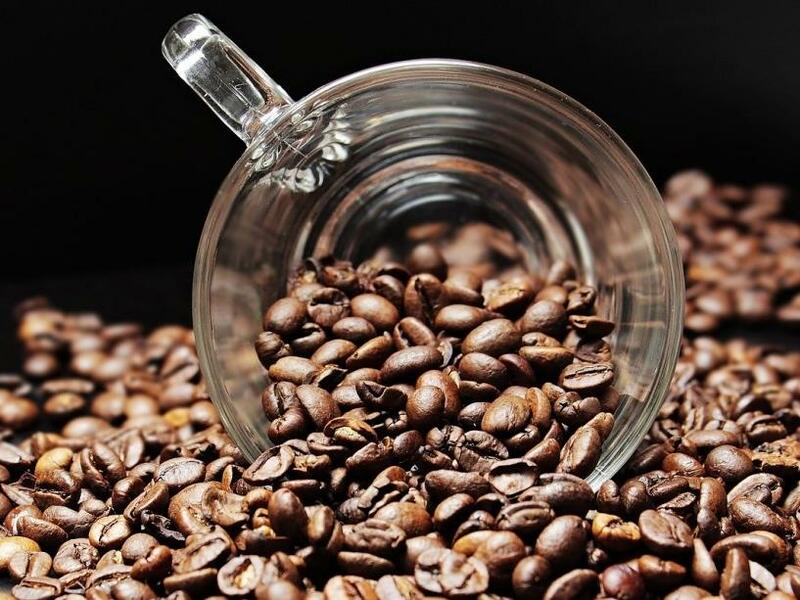 Tea and coffee making facilities. FREE WI-FI. The Uptown Palace is located in the centre of Milan and is easily reachable. It is one of the best hotels in central Milan from which to experience all the city has to offer. Choose one of our Milan hotel deals and packages to enjoy a unique and memorable experience at the Uptown Palace and discover the secrets and attractions of the Lombard capital. 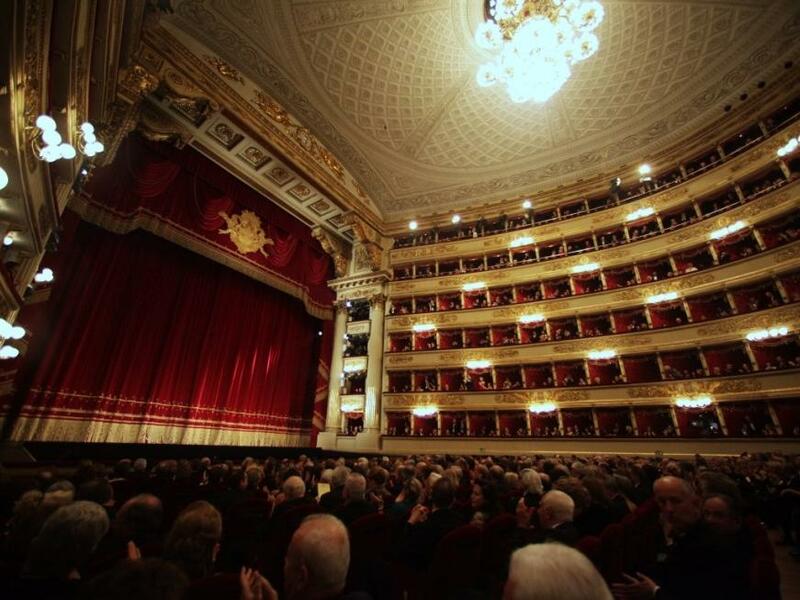 Thanks to our preferential relationship with il Sipario Musicale, you can now enjoy the best events at the Teatro alla Scala. The carefully chosen and highly qualified multilingual staff guarantee high levels of service and care for every guest. A public parking is available to all guests at preferred rates just few minutes distance from hotel . We remind our kind guests that the hotel is located within the Area C zone for which an entry ticket is due. Free high-speed Wi-Fi in all guest rooms and common areas.